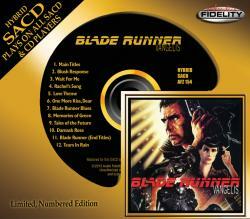 AudioFidelity whom released the Blade Runner Vinyl is going to release Vangelis Blade Runner soundtrack on SACD (a format that has multi channel capabilities, longer playing time) which is a format that many audiophiles prefers. 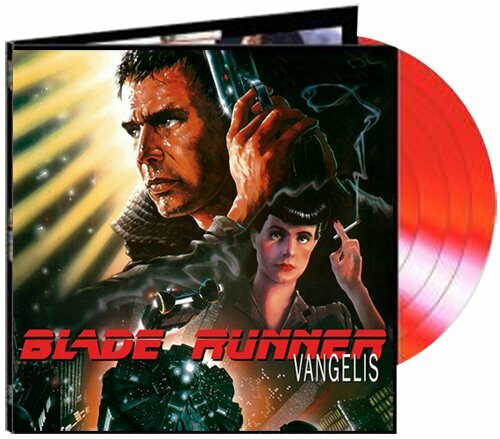 Vangelis masterpiece soundtrack from Blade Runner is to be released on vinyl for the first time (The New American Orchestra version can also be found. That is however an old release and not done by Vangelis). The single disc LP vinyl will be released as a 180 gram transparent red vinyl and comes in a gatefold which includes many colourful stills from the movie. The unofficial Vangelis website Nemo Studios has posted an very interesting article about Vangelis music in Blade Runner and the recording process, the article is called “Blade Runner – Scoring the music” and it’s recommended reading. If you’re into Vangelis you’ll find the website very interesting. Vangelis fansite Elsewhere reports that there is a brand new interview with Vangelis available..